Welcome to the 2018-2019 school year. Our administration and staff are eager to begin another year with the students, parents, grandparents and community members throughout our district. We hope to have everyone work together to make this another successful instructional and enjoyable year for all. I trust each of you have had a relaxing and enjoyable summer with your family and friends. I hope your vacations, special trips, and family gatherings have been fun, safe and educational. As September is upon us, I hope all of you are looking forward to another exciting and rewarding school year. As you return to school, notice the newly re-sealed parking lots at the K-8 and high school facilities. Also, the new parking lot next to Memorial Hall, as well as, new concrete at the front entrance. Likewise, at the K-8 the playground painting has been corrected, as well as, the terrazzo floors re-sealed. At the high school there is a new kitchen floor and the football stadium has been painted. All the gymnasium floors have been cleaned and re-varnished. At Memorial Hall we are also preparing to install new windows in the rear of the building. We thank the community for your ongoing support of our facilities. This fall our district will participate in two approved waiver days. These are non-instructional days for students that allow for additional professional development for our staff. These two waiver days will take place on Monday, Sept. 24 and Monday, Oct. 29. Parents can coordinate now for these two days the students will not be in session. The staff will be participating in professional development related to the new curriculum mapping, upgraded instructional technology, 21st century teaching skills and updated safety training. All these sessions will promote a current curriculum and safer environment for our students. Greenville Schools has a tradition of excellence and we certainly are working to continue the excellence. The entire district wants to lead the way by making sure our students are ready for higher education and jobs of tomorrow in a global economy. To promote this tradition, this year all our students and teachers will have access to one to one iPads for instructional use. This is a major area of our instruction emphasis this year. The district has almost completed the abatement and demolition of all our older buildings. Woodland Heights has now been closed/sold to Greenville Township. The Junior High parking lot and green space is almost complete. The parking lot is now open to public use. The district is also coordinating to sell both the old East and South school grounds using Midwest Auctioneers and Realty, Inc. services. The auction is tentatively set for Tuesday, Sept. 25 at 6:30 p.m. in the Anna Bier Civic Room. Our elementary through tenth grades will continue to participate in Measurement of Academic Progress (MAP) testing to continue throughout the year to keep a close measure on our alignment to end of year required state assessments. At the high school, we will continue for the fourth year with the College Credit Plus program, including again Edison State and Sinclair, as well as, adding an Educational Program with Urbana. We also look forward to continuing with all our Career Tech programming at the high school and the Careers with Children Program expanding this year to include an additional instructor that will expand to a Teaching Professional program in the future. The junior class will continue to take the required ACT test for all junior students this Spring. This test is scheduled to be the paper version. The district would like to highlight the Greenville High School FCCLA program for earning the following awards during National Competition in Atlanta, Georgia during June/July. These include: 2nd place – Laura Fields and Taryn Cooper in Advocacy; 3rd Place – Maddie Shepard in Digital Stories; 4th Place – Hayley Zeller in Interpersonal Communications; and 5th Place – Brooke Stachler, Mackenzie McMiller, and Alexa Snyder in Digital Stories. They brought home four gold medals, five silver medals, and a second, third, fourth and fifth place overall. You are all a source of pride for Greenville City Schools. Congratulations to Amy Schoen for her instructional leadership of this program. Our district continues to be on a rotational basis to purchase textbooks and supplemental materials beyond the required College Credit Plus textbook purchases. This year our district purchased many new social studies textbooks and materials. Next year we will be purchasing science materials. This Fall we will continue to contract with the City of Greenville to provide us with two school resource officers. One will continue to be housed at the high school while the other will be at the K-8 facility. These SRO’s will assist us with safety and security, but also provide educational programming. They have done an outstanding job for the district and it is a pleasure to work with the City to staff these positions. Reminder that lunch at the high school will continue to be closed this year to all students. As we begin a new year, remember to travel slowly on Ohio and Main Street and observe the speed limit when students are present and particularly during drop off and dismissal times at the K-8 complex, as well as, the high school. Always slowdown in the parking lots and follow marked traffic flow to keep everyone safe. At the K-8 complex in front of the building the first row of parking on both sides will be reserved for visitors. Staff members assigned to these buildings will not park in these areas. Likewise, staff parking at Memorial Hall will now be assigned to the new side lot leaving the front circle open to visitors. I would like to share some facts about the upcoming 2.0 mill permanent improvement renewal levy. On both May 17 and June 21, the Greenville City Board of Education unanimously approved resolutions to place a 2.0 mill permanent improvement renewal issue on the Nov. 6 ballot. The Greenville City Schools Board of Education has utilized a permanent improvement levy since 1989. This permanent improvement levy has been renewed by the school district voters ever since. Funds generated from this levy can only be used for improvement to buildings and grounds, equipment purchases such as technology, computers, textbook purchases or other assets having an estimated life of five years or more. Other examples would be roof repairs, window repairs, parking lots, boilers, track resurfacing, turf replacement, classroom carpeting, new bleachers or additional pole lighting. Permanent improvement monies cannot be utilized for salaries and benefits or consumable items. This 2.0 mill permanent improvement renewal issue would result in NO NEW TAXES and would continue to provide the district with an annual amount more than $450,000 for building improvements. The issue is a request to renew an existing levy and will result in NO additional millage. The issue will cost you no more than you pay today. School buildings are a major investment that require ongoing maintenance and upgrading. The Board of Education continues to operate within the constraints set forth by the permanent improvement budget and demonstrate prudence and accountability with your tax money. If you have any questions about the levy or any other school issue, don’t hesitate to call the Superintendent/Treasurer’s Office at 937-548-3185 from 8 a.m. to 4 p.m.
additional K-8 guidance counselor and continued a previous community connections social skills program that was previously funded by an Ohio Department of Education grant. This year the board of education felt it was important to continue this mentoring program at the middle and high school level another year by funding the program, although the grant was discontinued. I invite everyone in the community to attend and support our students in the various extracurricular activities that take place throughout the school year. Your attendance is appreciated by the students and the school system. Remember, the entire Greenville School faculty and staff is here to assist you – our students, parents and community. If we can be of assistance, please feel free to contact our principals or myself. I can be reached by phone at 937-548-3185, or by email at dfries@gcswave.com. Let’s all work together to make 2018-19 an outstanding school year and keep Greenville Schools a great place for students to learn and teachers to teach. We look forward to seeing you at school right after the Great Darke County Fair. Go Wave! 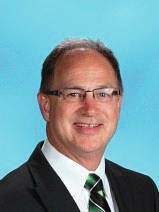 Doug Fries may be reached at 937-548-3185 or by email at dfries@gcswave.com with any questions about the district. Viewpoints expressed in the article are the work of the author. The Daily Advocate does not endorse these viewpoints or the independent activities of the author.